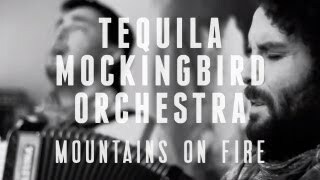 By stumbling through a strange place, by bumping up against and buoying each other, The Tequila Mockingbird Orchestra has found home. 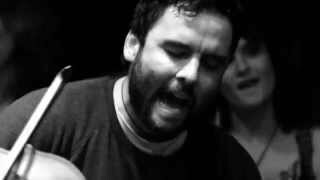 Though drawing on flamenco flourishes learned in Spain, on African percussion, on bluegrass and other roots music from across the Americas, TMO has cycled through far-flung influences and youthful forays into sounds from all over. The acoustic ensemble has wandered from the underground of bohemian Victoria, on Canada’s lush west coast, to a new, refined sound crafted by years of constant performing and touring together. They have busked across Europe, accompanied for circus acts in Granada, stumbled across songs in the wilds of British Columbia’s mountainous interior. They have played for hours on remote islands where whole towns came out to dance. Now they have discovered new vistas of creativity, moments bring them closer to their own beginnings, to the people and places that have shaped them. Friends and family, ancestors and wild characters are all honored on Follow My Lead, Lead Me to Follow, the band’s third and most mature studio effort, with a sound that’s distinct, earthy, and solid. The Tequila Mockingbird Orchestra’s creation of living has gotten the band passionately involved in a variety of causes, from protesting unwise logging practices in old-growth groves to bringing organic food sellers to their shows. They are also heavily engaged in working with at-risk children, in part through the Legacy Children’s Foundation’s highly successful Gift of Music programs in Loewen’s hometown of Calgary.